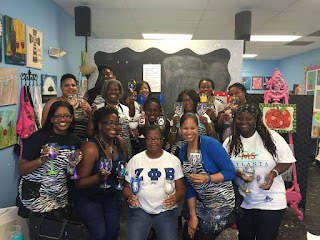 THE PEACH BUZZ: Rho Epsilon Zeta On the Move! Rho Epsilon Zeta On the Move! Rho Epsilon Zeta held our annual chapter retreat at Cherokee Overlook in Chatsworth, Georgia. We came together to plan social and civic activities for the 2015-2016 Sorority Year as well as bond as a chapter. We have many events planned that foster the Sorority’s ideals of scholarship, service, sisterhood and finer womanhood. Visit our YouTube channel RhoEpsilonZetaTV to view the video “Rho Epsilon Zeta Chapter Retreat 2015”. 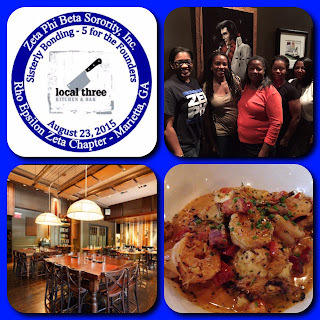 On Saturday, August 23, 2015, Rho Epsilon Zeta held a sisterly bonding event at Local 3 Restaurant located at 3290 Northside Pkwy NW, Atlanta, GA 30327. There was good food and good company as we enjoyed our time together as sisters. On Saturday, September 19, 2015, Rho Epsilon Zeta held a sisterly bonding event at Corkscrews and Canvas located at 3290 Northside Pkwy NW, Atlanta, GA 30327, painting wine glasses. To experience this event with us, visit our YouTube channel RhoEpsilonZetaTV and view the video “RHO EPSILON ZETA @ Corkscrews and Canvas”. 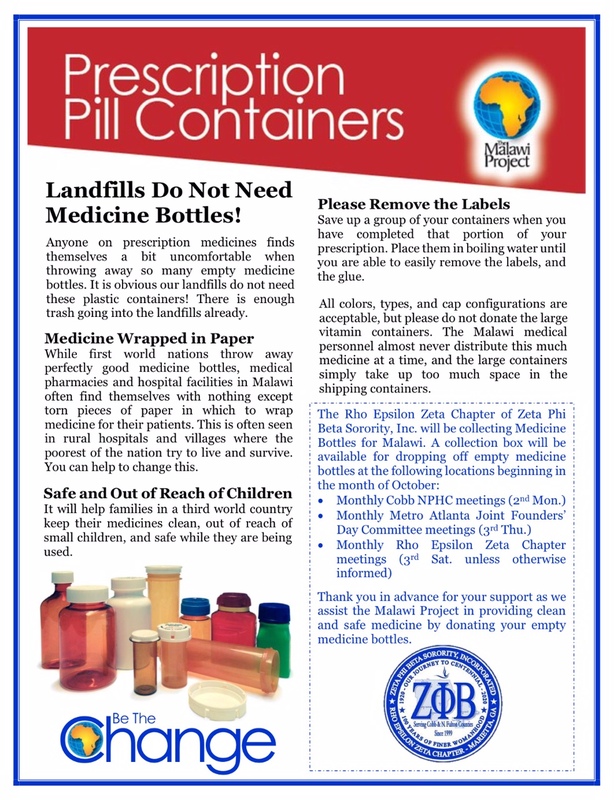 The ladies of Rho Epsilon Zeta will be collecting Medicine Bottles for Malawi as we assist the Malawi Project in providing clean and safe medicine while keeping empty medicine bottles out of the landfills. 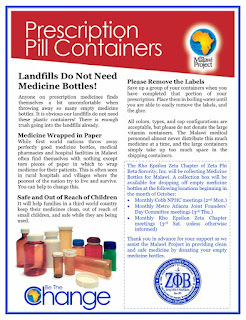 A collection box will be available for dropping off empty medicine bottles at monthly Cobb NPHC meetings, Metro Atlanta Joint Founders’ Day Committee meetings and Rho Epsilon Zeta chapter meetings. Sigma Mu Zeta - Graduate Chapter or Not?